I am currently teaching a course on Scripture, and put the following post together for that class, but it may be of general interest to those who are students of Scripture. I should point out that in the course of teaching that class I have spent a good bit of time talking about the short comings of Protestant scholarship, but also of the areas in which it can be useful, and of the need for Orthodox Christians to understand it. For more on that you can see my article on Sola Scriptura. 1. Original Texts (Greek, Hebrew), and Interlinear texts. For the Septuagint, you could simply by a Bible published by the Church of Greece... and this would ensure that it was an edition that reflects the text the Church has generally used. The critical edition, which has textual notes, which I believe is the edition that the Orthodox Study Bible is using is Rahlfs "Septuaginta, id est Vets Testamentum Graece iuxta LXX interpretes." For those whose Greek is either limited or essentially non-existent, there is Sir Lancelot Brenton's "The Septuagint with Apocrypha", which has the Greek and an English Translation in parallel columns. For the Hebrew Old Testament, the critical edition is the Biblia Hebraica Stutgartensia (abbreviated as BHS). For the New Testament, the critical edition I would recommend is the Greek New Testament According to the Majority Text. As for Interlinear texts, for the whole Bible (Hebrew Old Testament, Greek Textus Receptus New Testament), The Interlinear Bible is a great choice. One thing that is very handy is that it is keyed to the Strong's Concordance numbering system, which is also used in many other reference texts, and this is particularly good for those that know neither Greek nor Hebrew. You can get the above just in the New Testament by getting The Interlinear Greek-English New Testament. 2. English Translations and Study Bibles. As for translations, that is covered in the readings. Study Bibles attempt to give the user a little bit of many different types of reference texts, and as such can be handy. They provide introductions to books, commentary, concordances, maps, and other features. Study Bibles of course reflect a particular theological perspective, and so that is the key factor to be kept in mind. The Orthodox Study Bible is the obvious choice for Orthodox Christians, and when it is complete, it will hopefull be a great resource. Whatever translation you are going to use, you should have a concordance that matches it. The Strong's is the best choice for those who use the King James Version, and it's numbering system, as I said, is used in other reference texts. It provides a brief definition of the Hebrew and Greek word of the original text used by the KJV. Each word in English that occurs in the concordance is reference to a number than is linked to the original word that English word translates. Very often the same English word is used to translate more than one word in either Greek or Hebrew, and this numbering system helps you to keep this all straight. If you know Greek and/or Hebrew, a Greek or Hebrew Concordance helps you to find the various places in which a particular word is used in Scripture. But if you do not know Greek or Hebrew, good word studies will provide you essentially the same information, though generally not in the same degree of detail. Of course web site and CD-Rom concordances in some ways are better, because you can not only search for one word, but can search for several key words, and exact phrases. And instead of being limited to one translation, you can search several. However, it is still a good idea to have at least one hard copy concordance on hand. The Best New Testament Greek Lexicon is probably The Liddell & Scott Greek-English Lexicon. An Analytical Lexicon is also handy, because you can look up a Greek word in what ever form it is found in a given passage, and it will tell you what form it is, and also what the root word is, and give you a brief definition. You can also get a Greek Lexicon that covers all the words found in the Septuagint. The Best Hebrew Lexicon is Brown-Drivers-Briggs (which is keyed to Strong's). There is also an Analytical Hebrew Lexicon which works just like it's Greek counterpart. There are two sets that are probably more than most of you will want to invest in, or need, but they are The Theological Dictionary of the Old Testament (15 Volumes), and the Theological Dictionary of the New Testament (10 Volumes). The Theological Word Book of the Old Testament (which is One Volume, and keyed to Strong's (which given the difficulty a non-Hebrew student would otherwise have looking up a Hebrew word is an essential feature)), and the "Little Kittel" One Volume Abridged version of the Theological Dictionary of the New Testament. What these book do is give the origin of a word, and then discuss how it is used in the Bible. In the case of the Theological Dictionary of the New Testament (TDNT), it discusses the pagan Greek use of a word, it's use in the Septuagint, it's use in the New Testament, and often also discuss it's use in the early Church... so these are extremely useful texts. 5. Bible Dictionaries and Encyclopedias. The nice thing about Bible Dictionaries and Encyclopedia, is that when you run across something in the Bible, for example the Urim and Thumim, you can look up "Urim and Thumim" and read an article that will explain what these are, and reference where in the Bible they are discussed. You can look up a person, like Hezekiah, and read all that is known about him, and again, where in the Bible he is talked about. There are many one volume Bible Dictionaries that are good. Multi-volume Encyclopedias obviously have much more information. The Illustrated Bible Dictionary, by Thomas Nelson is an example of a good one volume dictionary. The Zondervan Pictoral Encyclopedia of the Bible is a good example of an affordable multi-volume set. There are many Biblical Atlases to choose from. You can see some of the options by clicking here. You find useful maps in many other reference texts, but when you want detailed maps to help you understand some element of Biblical history, it is handy to have a comprehensive Biblical Atlas. Biblical Histories combine the information we have from the Bible with archeological evidence, and evidence from other ancient texts, and provide a big picture view of the flow of Biblical history. Being familiar with this big picture will help you understand the how any given passage of Scripture fits into the scheme of history. The best modern Old Testament history is "A History of Israel" by John Bright. The best modern New Testament history is probably "New Testament History" by F. F. Bruce. The Works of Josephus (which provides Old Testament History as well as a contemporary account of New Testament Church History. The Life and Times of Jesus the Messiah. Edersheim was a very conservative Anglican scholar with a Jewish background and he was both a Biblical scholar and a scholar of Judaism. In this text he provides very interesting insights into the Jewish background of the life of Christ, and contrast the teachings of Christ with those found in the Talmud. This text is the Consevative response to the "Quest for the Historical Jesus" that is most recently manifested in the pseudo-scholarship of the "Jesus Seminar." The Temple, Its Ministry and Services. This book is not nearly as useful as the previous text, but it provides good information on the worship of the Old Testament. Because we do not live in the same culture as that in which the Scriptures were written, we have to make an effort to understand that culture. There are some good texts that focuse specifically on the customs and culture of the Biblical period, here are two examples: Sketches of Jewish Social LIfe, by Alfred Edersheim. The New Manners and Customs of Bible Times, by Ralph Gower. An Introduction is a text that discusses the scholarly thought on issues related to the text, authorship, audience, and history of the various books of the Bible. Introduction to the Old Testament as Scripture, by Brevard Childs. This text accepts to some extent the results of liberal Protestant scholarship, but then approaches the issues through the lens of the authority of the Church's Canon, and so in some respects comes close to an Orthodox approach at the end of the process. A Survey of Old Testament Introduction, by Gleason Archer. This text takes a much more conservative approach to the issues of text, authorship, and history of the Scriptures. As such, it is a good counter-balance to the text by Childs. New Testament Introduction, by Donald Guthrie. This is a very conservative Protestant text, that does a bit better of a job than Archer does with the Old Testament. Brevard Childs also has a New Testament introduction: The New Testament as Canon: An Introduction, however it has been out of print and so has limited availability. Unholy Hands on the Bible, By John Burgon. This text is actually a collection of the writings of John Burgon on the subject of New Testament textual Criticism, and he is by far the best scholar on this subject. Biblical Theology texts focus on the major themes found in the various parts of Scripture, and as such can be useful when you are discussing a particular issue to see how the whole of Scripture addresses that issue. However, since these texts involve theological analysis, you have to keep in mind that you are getting the take of non-Orthodox scholars on these issues. Old Testament Theology, by Gerhad von Rad. Theology of the Old Testament, Volume I and Volume II by Walther Eichrodt. An Old Testament Theology: A Canonical and Thematic Approach, by Bruce K. Waltke and Charles Yu. For the New Testament, the best text is A Theology of the New Testament, by George Eldon Ladd. This is both a highly regarded text, as well as a fairly conservative Evangelical text. How to Read the Bible For All It's Worth, by Gordon Fee and Douglas Stuart. Old Testament Exegesis: A Handbook for Students and Pastors, by Douglas Stuart. New Testament Exegesis: A Handbook for Students and Pastors, by Gordon Fee. What we are talking about here are texts outside of Scripture that were writing during or close to the times of the Biblical texts. Examples of these would include the Pseudepigraphal books of the Old Testament, the Dead Sea Scrolls (apart from the Biblical texts found among them), the writing sof Josephus, the New Testament Apochrypha, the writings of the Apostolic Fathers (such as the Didache, the Epistles of St. Ignatius, or St. Clement's Epistle to the Corinthians, etc. ), as well as pagan writings of the period. There are of course Church fathers who wrote entire books of commentary or homilies which explain various books of the Bible. More of this is becoming available all the time. Any Patristic text can be used to find commentary on Scripture... particularly if it has a Scripture index (and so that is something to look for when you have more than one option for a particular Patristic text. I very often find useful commentary in the writings of St. John Cassian this way. In short, you need to build a Patristic library. To start off, you can beat the economy of buying the Ante-Nicene Fathers, and Nicene and Post-Nicene Fathers, which you can currently purchase for $199.00. You can also read these texts online, but I would still recommend buying the set. As for more recent Orthodox Biblical commentaries, you have to be selective. There are good examples, such as the commentary of Archbishop Averky on the Apocalypse; but there are also some one has to be careful because some modern Orthodox texts on Scripture essentially consist of warmed over Protestant scholarship (usually of the more liberal variety), and are not as good as the better Protestant texts that are available. In short, you need to seek those Orthodox writers that embrace the Fathers and the Tradition of the Church, not those who are simply parroting the Protestants. As for Protestant Commentaries, there are many good options, and many bad ones. The best commentary series that is avaible, in my opinion, is the Word Biblical Commentary. There are shorter, and thus less expensive options, such as the Expositor's Bible Commentary... though many other examples of good conservative Protestant scholarship could be cited. Most of the above texts can usually be most cheaply purchase from Christian Book Distributers. My bishop is coming to town next weekend, and I was doing some digging around on the internet to put together a brief biography of him, and stumbled across the following article which he wrote while still a hieromonk, back in 1991 -- 4 years prior to St. John (Maximovitch) being officially glorified as a saint. I remember reading about St. John back then, and before I found out what "Vladika" meant, I thought "Vladika" was his first name. :) However, "Vladika" literally means "Master" in Slavonic, but is a term of endearment for a bishop, much like the word "batiushka" (little father) is for a priest. 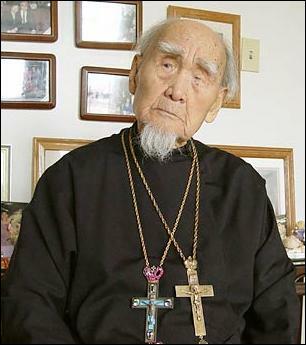 Bishop Peter (Loukianoff) comes from a family of Don Cossacks that moved to China after the Bolshevik Revolution, and then to San Francisco, California (where Bishop Peter was born) after World War II. He grew up in the Russian community there, which was head by St. John (Maximovitch), with whom he served closely the last 3 years prior to St. John's repose. He later became a monk at Holy Trinity Monastery, in Jordanville, New York. He studied at Holy Trinity Orthodox Seminary in Jordanville, NY, St. Vladimir's Seminary, in Crestwood, NY, and the Belgrade Theological Academy. He was consecrated a bishop in 2003, and has since served as the administrator of the Chicago Diocese of the Russian Orthodox Church Abroad. Twenty-five years have passed since Vladika's repose. During this time a great deal has been written about him. I myself have never expressed myself on the subject in print, considering that I had no right to claim that I knew him better than others. Now, however, I have undertaken this for the sake of obedience. What has been written by others in recent years hasn't always corresponded to the image of Vladika which I have from personal experience. At the same time, veneration of Vladika is spreading; many know about his miracles, but they know little about him personally. Vladika knew our family when we still lived in Shanghai. When my parents moved to San Francisco, my mother corresponded with Vladika and Vladika knew me practically from the day I was born. From childhood I thought of Vladika as a holy man. When Vladika came to San Francisco from Europe, my mother would take us to his services in our free time from school. I remember Vladika as always joyful and smiling, affectionate with children and attentive to them. As large as his flock from Shanghai was, he never forgot our birthdays or names days, and always sent greeting cards. In late 1962 Vladika was assigned to San Francisco, and the Lord granted me to be close to him for the last three and a half years of his life. What I am going to write here is that which I witnessed. I shall omit what is generally known and will try to touch upon that which I have not read in other accounts or that which, in my opinion, has been presented inaccurately. With gratitude I dedicate these recollections to my dear mother. And so, bless, O Lord! Vladika's late sister, Maria Borisovna, once wrote to my mother that Vladika grew up as a very obedient boy; his parents had no trouble in raising him. He was an excellent student, and there were only two subjects he didn't like: gymnastics and dancing. Vladika was very simple in manner, but one sensed his good upbringing and tactfulness; his every aspect was stamped by an inner nobility. 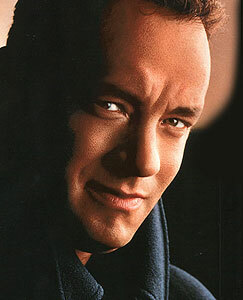 As a child I heard of an incident which occurred when Vladika was in the Poltava Cadet Corps. Once the corps was marching in formation past a church. Misha (a diminutive of "Michael" -his name prior to his monastic tonsure) took off his cap and crossed himself. The instructor noticed this but decided not to reprimand him. However, in as much as one is not supposed to do anything without a command while in formation, he considered it necessary to report the incident to the director. The director thought and thought and didn't know what to do. Finally he sent a telegram to Grand Duke Constantine Konstentinovich, Inspector General of the military schools. For a long time there was no reply, but at last it came: "Although he wasn't right, he's a brave lad." Vladika was asked about this in my presence and denied the incident. Whether he denied it out of humility, I cannot say. Vladika loved Russian history, and knew it well. In one conversation with him, we were talking about Russian rulers and I said that I liked best of all Alexander Nevsky, Ivan III and Alexander III. Vladika thought and then said that these three, in his opinion also, personified the ideal of a Russian ruler. While still in Belgrade, Vladika, at the request of Metropolitan Anthony, wrote a book, The Origin of the Rule Concerning Accession to the Throne in Russia, which was published in Shanghai in 1936. It begins with Equal-to-the-Apostles Vladimir and ends with the Tsar-Martyr. It would be good if this book were reprinted. Vladika was not only a convinced monarchist, but he considered it necessary to support the authority of Grand Duke Vladimir Kirillovich [Romanov]. At the daily liturgies he would commemorate the Russian Royal House, and at feast day liturgies he commemorated the Grand Duke by name. On special days, as for example the Sunday of Orthodoxy, he commemorated individually all the Orthodox monarchs: Greek, Bulgarian, Serbian and Rumanian. Vladika was firmly opposed to substituting the prayer for right-believing kings with the words "Orthodox Christians". Specifically, in the troparion, “Save, O Lord, Thy people," he insisted on the words, "victory to right-believing king.."
In regard to Russian history, Vladika thought highly of Patriarch Nikon. I remember one occasion when Vladika was present at an examination of a class on the Law of God. One girl was given a question about the reforms in the Russian Church. She answered well, and when she finished Vladika asked if Patriarch Nikon was a great man. Following the traditional views in our textbooks, the girl answered "no". Whereupon Vladika, who usually listened patiently to children, stopped her and said rather sternly: "No, Patriarch Nikon was the greatest of the Russian patriarchs." Vladika likewise valued highly the works of Metropolitan Peter Mogila. In Yugoslavia, like all refugees, the Maximovitch family had a hard time, and Vladika helped his parents by selling newspapers. One of his classmates, who did the same, told me that during lunch break he had to run from one cafe to another and only with difficulty did he manage to sell all his papers, while Misha simply stood on the sidewalk and within a matter of minutes the Serbs bought up all his papers. A fellow monk at Milkovo Monastery in Yugoslavia where Vladika was tonsured said that from childhood Vladika stuttered. When, in Belgrade, he became a reader, he would come to the Russian Church of the Holy Trinity and, putting on his stichar, meekly stand in a corner of the cliros and wait to be given something to read. When he became a monk this defect disappeared and only recurred when he became agitated. Vladika did not have a musical ear, and had trouble enunciating, but those who were used to him understood him,easily enough. Once Metropolitan ,Anthony (Khrapovitsky) was asked who was closest to him in spirit. The Metropolitan gave only two names: Archimandrite Ambrose (Kurganov), superior of Milkovo Monastery, and the young Hieromonk John (Maximovitch). Once, sitting with Vladika in his room, I was looking at a portrait of Metropolitan Anthony which had recently been sent from France. (The painting was amateurish but Vladika told me that he liked it because the eyes and expression were just as he remembered the Metropolitan when he last saw him before leaving for Shanghai. 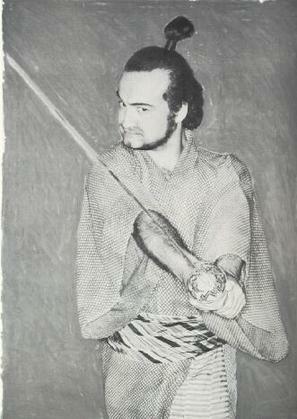 The portrait was damaged in transit and Vladika gave it to an artist to be restored. Vladika died before the portrait was returned. Where it is now, I don't know.) Our conversation turned to the Metropolitan.- Vladika was silent for a moment, then said that on July 28, 1936, he was sitting in his study in Shanghai when, suddenly, his heart gave a start. He did not give it much thought, but he looked at the clock and remembered the time. 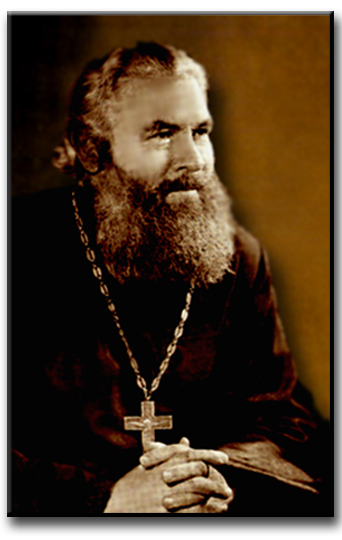 The next day a telegram arrived with news of Metropolitan Anthony's repose~ at that very hour. I forgot about this and remembered it only at Vladika's funeral, when Metropolitan Philaret, in his sermon, told how his relative, Archbishop Dimiffy, had invited Metropolitan Anthony to Harbin. The Metropolitan replied that he was already too old to think about such trips, but in his stead he was sending "a piece of his heart"--Vladika John. In the 70s I happened to be in Bitol (in .southern Yugoslavia, where Vladika taught at the seminary) with a group of students from the Belgrade Theological Faculty, and we were looking around the old cathedral. The rector came and began showing and explaining various things of interest. The Serbs, naturally, were interested if he remembered the former teacher, Fr. Justin (Popovich). The "prota" (as Serbs call their archpriests) replied that, yes, of course, and told a bit about Fr. Justin. He said, however, that the most remarkable of their teachers was Fr. "Jovan", and went on to speak primarily about Vladika. The priest could not have known that I was in the group, so it was dearly not for my sake that he spoke about Vladika. It just showed that after forty-five years -since Vladika left Bitol--his memory was still very much alive. Vladika told me that his ordination 'to the priesthood happened so quickly that he didn't manage to inform his parents. At this Archbishop Gabriel of Cheliabinsk remarked: "Never mind, we'll invite them to your consecration." Bishop Gabriel did not live to witness this, but it was his panagia which was given to Vladika at his consecration. On this occasion, Metropolitan Anthony invited Vladika's father into the altar to watch the consecration of his son. This was the last consecration Metropolitan Anthony performed. Besides Russian and Serbian, Vladika spoke French and German---how well, I can't judge, since I myself don't know these languages. However, when .a group of French people came to San Francisco for the consecration of Bishop John (Kovalevsky), Vladika spoke freely with them. Vladika was less proficient in English, but he understood everything and read fluently. 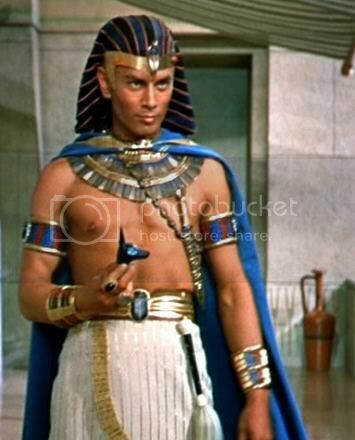 He also knew Greek. I was always amazed how, during matins, Vladika would translate impromptu the Prologue and some canons from Greek into Church-Slavonic. On feast days Vladika would say "Look down from heaven, O God...? in Slavonic, Greek and, in San Francisco, in English. On weekday Liturgies he would say the third exclamation in different languages, beginning with Latin .and ending with Chinese. The priests on cliros would hold bets: which language he was going to Use. In speaking about services, it should be remembered that Vladika served Divine Liturgy daily---either in his residence at the St. Tikhon of Zadonsk house, or in the cathedral. Regarding patronal feasts, Vladika was against their being transferred to Sundays; he always celebrated a feast on the day appointed by the church typicon. When Vladika served in St. Tikhon's house, he liked to wear his red phelonion with a woolen omophor, which looked like a scarf. People unfamiliar with church history would ask why Vladika served as a priest, or if he had a cold. At the top of each letter Vladika always neatly placed a large cross. In folding the letter to place it in an envelope I had to make sure that the cross was not creased or put in sideways or upside down. Vladika did not allow us to lick envelopes shut, and insisted they be opened with a knife. He used to remark with a smile that only Stalin ripped envelopes. At three o'clock Vladika read the Ninth Hour and, on appointed days, the Interhours. If he happened to be traveling, we would read the Ninth Hour in the car. Before Vespers Vladika would drink a cup of coffee or, on hot days, tea with a light snack. Then he attended Vespers and Compline, either at St. Tikhon's or at the cathedral. During Compline sometimes as many as three canons would be read. If Vladika attended services in the cathedral, he would again visit some hospital on his return home. Vladika had supper before midnight, after which he would go to his room to rest. He ate everything from one plate, with one soup spoon, always holding his prayer rope and reciting the Jesus Prayer. Sometimes he used chopsticks. From the day of his-monastic tonsure, Vladika slept in a sitting position. As a result he had swollen legs and it was painful for him to wear proper shoes, so he wore sandals. At home, in his cell: or when he served at St. Tikhon's he often went barefoot--not for the sake of foolishness-for-Christ, but because it was easier on his feet. Abbess Theodora, the late superior of Lesna Convent in France, told how once when Vladika was visiting the convent one of his legs gave him great pain, and she called a doctor, who prescribed rest in bed. Vladika thanked her for her solicitude but refused to lie in bed; nothing could persuade him. 'Then," related Matushka, "I myself don't know how I was so bold, but I said to him bluntly, 'Vladika, as the abbess of this convent, by the power given me by God, I order you to lie down.'" Vladika looked with surprise at the abbess, and went and lay down. The next morning, however, he was in church for Matins, and that was the end of the "course of treatment". Once, in the course of conversation, Vladika remarked that in Greece, if a ruling hierarch dies he is buried in a sitting position. I asked him if he would like to be buried in this way. Vladika smiled meekly and gave me to understand that yes, he would. Bishop Nektary (vicar bishop) knew about this and later he said several times that it bothered him that he allowed himself to be persuaded not to have this done. On Sundays and Feast days, Vladika did not concern himself with business and spent his time in visiting the sick. On these days he didn't even write any ukases, except in those cases when God's blessing was invoked. Once there came to Vladika members of a church commission, who brought their protocol for his approval. In giving Vladika the papers, one member mentioned that they had labored all evening. Looking over the papers, Vladika asked: “You say you worked all evening?” Receiving an affirmative reply, Vladika remarked: "You had a meeting instead of attending the Saturday night Vigil?" And he refused to sign the papers. The commission had to meet again and set a different date for their protocol. There exists an opinion that Vladika was something of a fool-for-Christ. I absolutely disagree. Vladika was not of this world, but this is not to say that he was a fool-for-Christ. Once, when Vladika was leaving the altar after Liturgy, a man came to .him with some question of business, and Vladika gave a rather confused reply. When the man had left, Vladika turned to me and said that right after Liturgy it was hard for him to concentrate on anything else. And indeed, whoever observed Vladika during services knows that he was entirely immersed in the services. 'There were also some remarkable fools-for Christ of Diveyevo. This podvig is extremely rare and difficult. These ascetics, in full command of their mental powers, have already reached a high level of spiritual perfection, so that the supernatural world is open to them and they are in communion with angels and battle visibly with demons. In order to conceal their gifts clairvoyance, miracle working, love for God and neighbor--they deliberately act as though they are crazy, mad, if this is God's will, and this is very rare. They always speak in parables or allegories. Furthermore, they take upon themselves the appearance of a madman to provoke people to make fun of them, offend and abuse them, in order to perfect their humility and in this way to gain a more powerful victory over the devil." In keeping with the above, Vladika could not "act the fool" because he was a hierarch of God, and he would never do anything to give cause for this worthy rank to be mocked. On the contrary, Vladika was very considerate of his rank. In receiving someone officially or going out somewhere, he always wore his panagia and klobuk. On the street he always carried his staff. I remember one occasion when, on the first day of Nativity, we visited some sick people in the San Francisco General Hospitall. Vladika was tired and that day his leg was especially bothering him. We were walking down a long corridor when Vladika stopped and took off his sandal. He carried it in his right hand as we continued. Some people noticed this and smiled. I brought this to Vladika's attention: "Vladika, people are laughing at you." Vladika stopped and put on his sandal. Although Vladika was somewhat awkward in his movements, he always tried to he neat. On the cliros he always insisted that the service books lay in order, in their place, and the ribbon markers had to be placed neatly in the books. He always folded his vestments neatly and required this of others. If an acolyte came to him for a blessing to put on his stichar and it was not neatly folded, Vladika went would not give a blessing. During the Paschal period Vladika liked to wear a white robe (riassa) and colored cassock (podriasnik) with an embroidered belt. Once as we were walking along the empty corridors of a hospital, Vladika remarked that in France, in contrast to America, hospitals are full of visitors on Sundays and holidays. Many times, on Nativity and Pascha, Vladika appealed to people from the ambo not to forget the sick on these great feasts. For these feasts the sisterhood would prepare boxes of goodies, and Vladika would give a small gift-box to each person he visited. On his arrival-to San Francisco, Vladika organized theological courses, which various priests taught besides himself. Vladika himself oversaw the course of study and allowed lectures to be skipped only if there was a vigil that evening. The same held true for the school. Just as Vladika was strict in regard to church services, so too he was strict towards religious instruction. He excused those priest-teachers who sang on cliros to go to the lessons, even if the services had not yet finished. Vladika tried to visit the church school daily. He considered it his duty to be present at the examinations of the Law of God classes. And not only at the church school, but also in other schools. He knew the Menaion and the Lives of saints, and during the exams he always asked the pupil who was his favorite saint, when he was commemorated and about his life. Even when there were pupils with rare names, such as Capitolina, Vladika knew the saint's Life and date of commemoration. Aware that children were observing him, Vladika carefully .and properly made the sign of the cross, touching each shoulder. Vladika understood youth; he liked to joke with them and was always interested in what they were doing. Several times, out of his own pocket, he arranged social gatherings at St. Tikhon's, giving Russian youth an opportunity to meet together. I remember how once after a service Vladika asked us acolytes what we were planning to do. We said we wanted to see a movie. Vladika was interested to know what the movie was about, on hearing that it was a serious film, an historical one I believe, he gave us each money for a ticket. Vladika realized that youth had to have some kind of fun, but he was emphatically against football. In his discussions with youth he frequently emphasized the importance of being honest and always telling the truth, adding: whoever lies will also steal, once, I remember, Vladika summoned a priest. The latter informed Vladika that he was ill and couldn't come. Within an hour it was discovered that he was feeling fine; someone had seen him out walking. For some time afterwards Vladika kept repeating: "I never thought a clergyman could tell a lie." 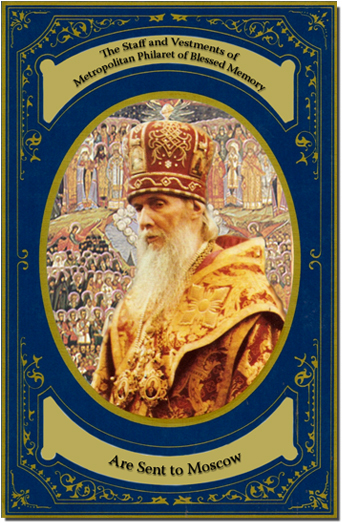 Vladika was a hierarch who lived the life and interests of the entire Universal Church. I remember how on July 5, 1963 we were reading the Ninth Hour. As I finished reading the troparion to St. Athanasius of Mt. Athos, Vladika stopped me and said: “Today on Athos there’s a great celebration.” To my question, what it was all about, Vladika answered that they were commemorating Athos' millennium. This was not an idle remark. It was obvious that in soul and spirit Vladika was there on the Holy Mountain. Vladika attentively followed what was going on in the other local Churches; he respected their traditions, although he himself adhered to Russian customs. On Holy Friday, after the bringing out of the Shroud, Vladika went round to all the Orthodox churches in San Francisco----Greek, Syrian and others--and venerated the holy Shroud. His first months in San Francisco Vladika was only the administrative hierarch of the diocese; officially he was still archbishop of Western Europe. Until he was officially appointed to the Western American diocese, he kept his watch set on European time. People who didn't understand Vladika laughed at this, but Vladika always had reason for doing things. Although now living in San Francisco, he still looked after the life of his flock in Western Europe. I remember how on Great Saturday, 1963, we were unvesting Vladika in the altar after Divine Liturgy; it was three o'clock San Francisco time, and Vladika, looking at his watch, crossed himself and said, "In Paris the Paschal Matins has begun." Vladika often said with a smile that the sun wasn't subject to American laws, and for this reason he never adjusted his watch to daylight savings, nor did he adjust his schedule: in summertime we read the ninth hour at four o'clock and he had dinner at half past midnight. Vladika was adamantly against setting up Christmas trees for non-Orthodox Christmas. In his sermons he often said that although the trees had no religious significance, they were, nevertheless, associated with the Feast of Nativity and therefore shouldn't be decorated before that. Vladika always tried to see the good in people. When I was already living in New York and working at Synod, some documents concerning "the: San Francisco affair'"  came my way; in them some people, who themselves did not think kindly of Vladika, testified that he spoke very calmly and objectively of his opponents. I remember vividly being twice with Vladika at a San Francisco ball. The first time was after a vigil on the occasion of the glorification of St. John of Kronstadt. There were people in the cathedral but not as many as would he expected on such a day. After vigil Vladika usually went to some hospital. But this time, in answer to the chauffer's question, "Where?' Vladika answered, "To the ball at the Russian Center." On arriving, we made our way upstairs to the main hall. Vladika walked around the hall in silence. 'We looked on as elderly men and women and leaders of society literally hid under tables, one woman, on seeing Vladika, joyfully exclaimed, 'Vladika's here! Vladika's here! We must give him some tea? Vladika looked sternly at everyone, but at the same time I noticed that he had no anger towards anyone personally. And without having said a single word, we left as we had come. The second time Vladika went to the hall he asked for a microphone and addressed those present. I knew how upset Vladika was over all this, but his speech was calm. The next morning the clergy were informed that anyone who attended the hall was not to participate in the service, whether they were serving in the altar as acolytes or singing in the choir. Regarding Vladika's attitude towards church discipline, I recall the following story. A diocesan hierarch passed away. One village priest took part in the funeral. Returning to his parish, he continued commemorating the deceased hierarch in the appointed places, as if he were still alive. He explained to his puzzled parishioners that he had not yet received the ukase from the Diocesan office. When Vladika related this story, he added that of course this was rather extreme, but nevertheless he approved such a strict observance of discipline. Once Bishop Nektary was driving Vladika somewhere. There were only the three of us in the car. A siren was heard and Bishop Nektary pulled over as he was supposed to. Either a fire engine or an ambulance sped by, and Vladika Nektary recalled a similar occasion when he was driving Bishop Tikhon and had to pull over at the sound of a siren. Vladika Tikhon turned to Bishop Nektary, then still a hieromonk, and asked what the siren reminded him of. The latter said that it reminded him of the alarm in Germany during the bombing... Vladika Tikhon remarked that it was more like the cry of evil spirits. Vladika Nektary turned to us: "I don't know how evil spirits sound; I've never heard them." Vladika John listened silently to Bishop Nektary's account, then said quietly, "God preserve you from ever hearing the cries of demons." Later, Bishop Nektary and I remarked to one another that what Vladika said gave the impression that he had heard them. In his personal life Vladika was very humble and simple, but in church he was prince. At all the services, except Liturgy, Vladika stood on the solea, in view of everyone. He always made sure that the daily epistle and gospel selections were read properly and nothing was skipped. He taught us that the daily readings could be carried over only on the Twelve Major Feasts, on the Nativity of St. John the Baptist, on the Feast of the Apostles and on the church's patronal feast. Vladika always insisted that the Creed and the Lord's Prayer be sung by the entire congregation. For this the deacons and acolytes came down into the center of the church and the senior deacon, facing the altar, led the singing. Vladika did not allow women wearing lipstick to venerate icons or the cross. He always gave out the antidoron himself and only to those who hadn't eaten anything previously, and he made sure that people took it in their right hand. Vladika would reprove a person who moved candles, which had been put up by someone else, from one candlestand to another. He pointed out that this was a gift to God and it should burn there where it was placed. Once, in one church during the polyelei, the candle wasn't brought out in time for the deacon, and he took one from a candle stand. Vladika stopped the censing, ordered the candle to be put back in its place and waited until the deacon's candle was brought. He allowed candies to be removed only after they had burned down. Vladika Was strict in making sure that the Antimension, the church vessels, the Altar and Table of Oblation were kept properly clean. I remember once when Vladika served a weekday Liturgy at one parish. Unfolding the Antimension, Vladika shook his head and began picking up crumbs with the Sponge. The rector, turning to those present in the altar, asked anxiously, “What did he find there? Yesterday I deliberately cleaned everything." Vladika, on learning later of this question, asked, "One might ask what he did with those particles; he didn't serve yesterday." On Bright Week, after Liturgy on Saturday, the Royal Doors were not closed. Before the vigil, the Ninth Hour was sung in the paschal tone. The Royal Doors were closed during "Lord, I have cried," at "The doors being dosed..."
Vespers and Matins on the Apodosis of Pascha were served according to the typicon for Bright Week. The Hours, including the Ninth Hour, were sung just before the Vigil. This concluded the Apodosis. At the Liturgy for Ascension, Vladika himself pronounced the exclamation, "Both now and ever and unto the ages of ages,” during which the priests took the Shroud from the Altar and transferred it to the High Place. At the words, "Let us depart in peace," Vladika blessed the congregation. During the vigil for the Feast of the Entry into the Temple of the Most Holy Mother of God, Vladika sent me to invite all three- and four-year-old girls to stand with candles in front of the solea. At the beginning of the polyelei Vladika brought the feast day icon out of the altar and the girls accompanied him to the analogion, remaining on either side until the anointing. Unfortunately, this custom did not take hold. During Liturgy, at the time of the Creed, when, according to the Typicon, celebrants say to one another, 'Christ is in our midst," Vladika taught that the younger should greet the older, to which the older should reply, "He is and will be." During the Paschal period, the younger greeted with the words, "Christ is risen," to which the older celebrant responded, "In truth He is risen." During the Eucharistic canon, at the blessing of the Gifts, all the celebrants were to approach the Altar table. Here it would be appropriate to mention that before entering Vladika's cell one had to say the appointed prayer, to which Vladika would reply "Amen." During the Paschal period, one said, “Christ is risen from the dead, trampling down death by death...," to which Vladika responded, "and upon those in the tombs bestowing life." And after this one could enter. In the altar Vladika did not allow any conversation and punished severely any infraction. The sub-deacons were to stand constantly by his side. The acolyte who held the service book was to follow the service and himself turn the pages. If one of the servers made a mistake, Vladika would correct him after the service, lovingly tapping his forehead with his staff and adding, "A hierarch's staff is attracted to a foolish head." Regarding the staff, Vladika did not permit it to be taken into the altar, explaining to us acolytes that angels were present in the altar and a hierarch couldn't shepherd them. Vladika was strict with us, but also attentive. He never sat down for a festal meal if there weren't a special table set up for the acolytes. Once, in 1963, on Vladika's name day, six hierarchs served. The sisterhood set a very festive and sumptuous table for the hierarchs. After the prayer, Vladika noticed that there was no place for the acolytes. Calling me over, he gave me the keys to the arch episcopal residence and gave the best of everything on the table to us. After this incident, there was always a place for the acolytes at all parish trapezas. Vladika did not allow acolytes to wear ties under their sticharions. He explained that if a priest can, in case of emergency, use even a thread instead of an epitrachelion, an acolyte shouldn't wear a tie around his neck during a service. More than once I have observed some unusual practices by some priests, which they justify by saying that this is, allegedly, how Vladika John did it. Zeal is honorable but why cite Vladika to justify one's own inventions? Likewise, I've read that Vladika, in boarding an airplane, would bless the pilot and such. I accompanied Vladika almost every time he flew from San Francisco and flew with him myself, and never witnessed anything of the kind. Vladika simply sat down in his place, prayed silently, of course, but in no way drew attention to himself. A lot is also heard about Vladika's supposed predictions concerning the end of the world. In particular, it is said that in 1962 he was walking into a church when he tripped, fell and, getting up, said, "Antichrist was born." And there are many similar stories. Of course, I was not with Vladika twenty-four hours a day and I cannot say categorically that this never happened, but in the first place, it was my experience that this is not characteristic of Vladika; secondly, Vladika arrived in San Francisco only at the end of 1962, and, thirdly, more than once I heard people ask Vladika about antichrist, and he never stated that he had already been born. Vladika spoke a great deal about Russia, but this is an entire article of its own. Here I shall only mention one thing he said about the resurrection of Russia: "If the Russian people repent, God has the power to save them." In the past I heard a story that Vladika John wanted to form a schism in the Church Abroad and, according to one version, to be the Chief Hierarch himself. Another story had it that he wanted to go under the authority of the Serbian Patriarch. I wouldn't have mentioned this if I hadn't heard it again a few months ago. This is outright slander. On June 16, 1966 Vladika served Liturgy at St. Tikhon's and afterwards went with Bishop Nektary to Seattle with the wonderworking Kursk Icon. I assisted Vladika that day and was to have gone with him, but at the last minute decided to stay. My mother urged me to go, but I didn't listen. Three days later, in Seattle, Vladika reposed. My mother told me, "You'll remember your mother all your life." How right she is! But, it means I wasn't worthy. The day before he left, Vladika phoned the editorial office of the newspaper, Russian Life, and gave notice that on the eve of the Feast of the Nativity of St. John the Baptist and also on the day of the Feast there would be a triumphant festive hierarchal service, and Vladika emphasized, triumphant and festive. Vladika reposed on June 19 (o.s.). This notice was never printed, but those who were in San Francisco on June 24 at his funeral, the day of St. John the Baptist, can testify that the service was indeed triumphant and festive. This was not a day of sorrow; it was a day of Vladika's triumph. I pray the Lord that, by Vladika's prayers, I might fulfill at least a fraction of what I learned from him. Amen. Unjustly charged with misappropriation of church funds, in a bitter parish feud, Vladika was taken to court.